CINCINNATI -- For most kids in Greater Cincinnati, the dwindling days of summer soon will mean getting folders and notebooks and preparing for the first day back at school. Not so for the Bradley sisters. In just a few weeks they will say goodbye to their friends here and take off for more far-flung adventures with their mom and dad. 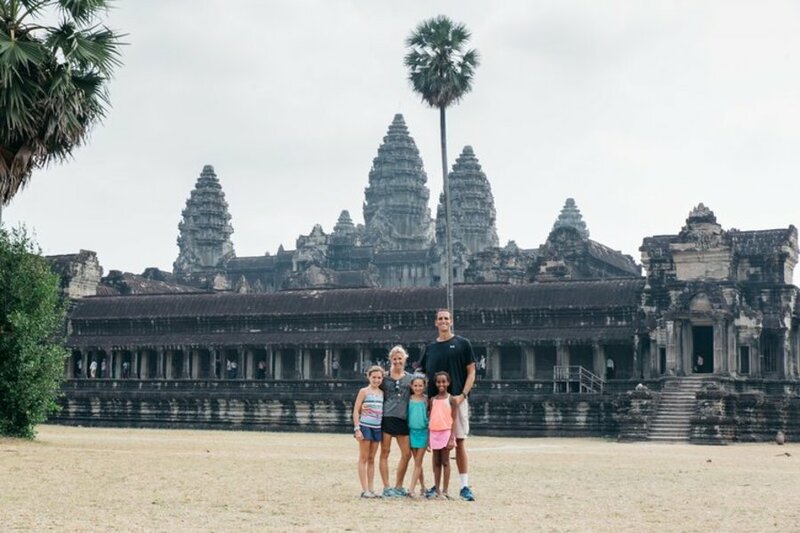 Ellen and Michael Bradley spent last school year traveling to Australia, New Zealand, Fiji and Southeast Asia with their daughters Taylor, Kya and Shae. They brought along photographer Ricky Willis, who documented the family’s travels in photos and video. The Bradleys are leaving again Aug. 13, this time to spend the school year in Latin America and South America where the girls can become fluent in Spanish. It’s a commitment that could terrify any parent with a kid whose diet consists of hot dogs and chicken nuggets or who can’t imagine being thousands of miles from the family pediatrician. 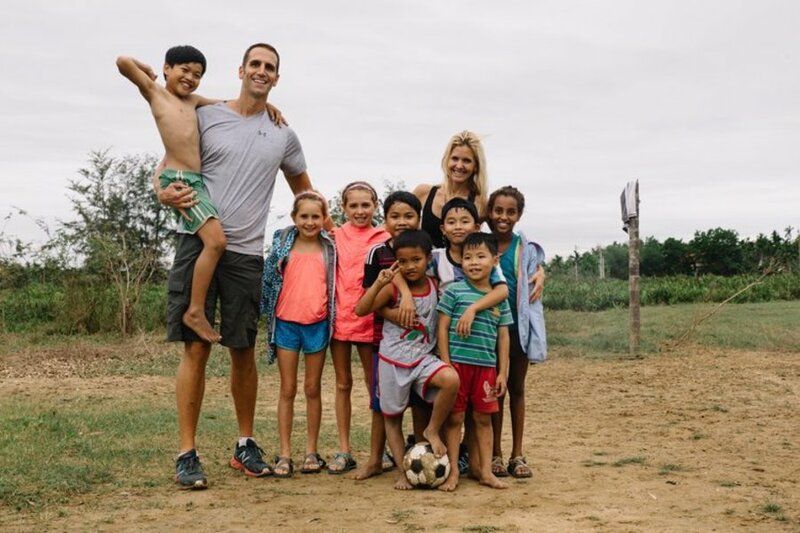 But the Bradleys said their first trip taught them all so much about other cultures -- and each other -- that they jumped at the chance to do it again. It’s far from the only lesson the family learned. Michael and Ellen Bradley were surprised by how resilient their daughters are and how little it bothered them to be mostly unplugged from their friends and family back home. 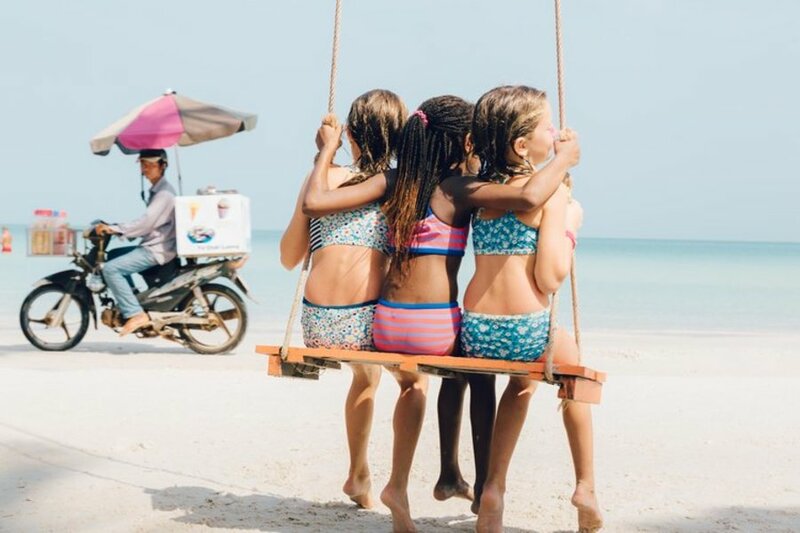 Taylor, who is 11, said she was surprised to see how climate change is making the water more shallow in the Great Barrier Reef, which leads to the bleaching and death of the coral. “Then there’s no more reef to see,” she said. Kya, 9, said she learned the importance of halting the use of disposable, plastic bags because of the harm they can do to animals such as sea turtles that eat the bags because the floating trash looks like tasty jellyfish to them. And 8-year-old Shae learned how to dye silk with different colors before weaving it. “Orange would be turmeric, and purple would be lavender,” she said. 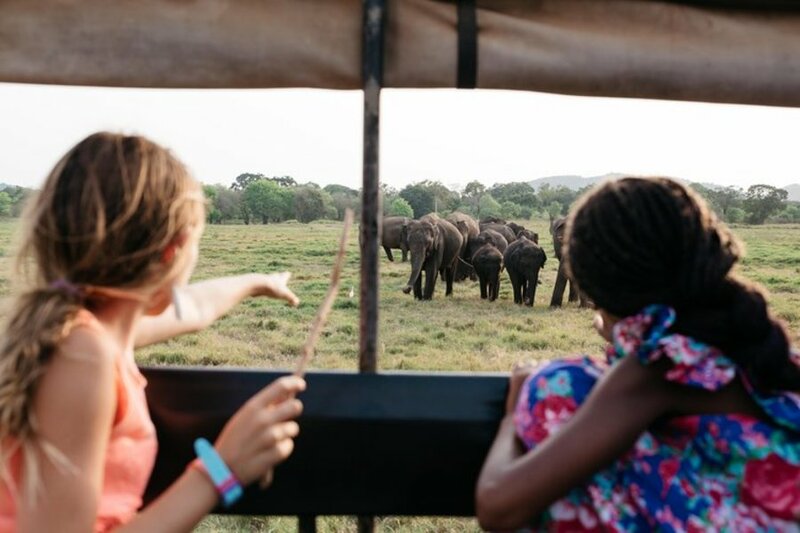 It was much cooler than any school field trip, and the Bradleys expect the lessons will stick with their daughters for a lifetime. All it took was a giant leap of faith -- and the sale of most of their material possessions. Listen to Chris Riva and Kathrine Nero chat with the Bradleys on thier podcast, Unprompted. They sold their house, sold one of their cars and sold much of the stuff that was inside their house. That freed up the family from having to worry about mortgage payments and utility bills and also provided additional money for their trip. The Bradleys own the three Modo Yoga studios Cincinnati and Northern Kentucky but have a strong management team in place that could continue to operate the business while they were gone, Michael Bradley said. In all they visited 13 different countries and flew on 56 different flights. There were times when they stayed with host families that had no running water or electricity and other times they treated themselves to fancier accommodations. Their first couple of weeks in New Zealand, the family rented a camper van -- not a place exactly built for Michael Bradley, a former NBA player who stands seven feet tall. Still, the camper van was one of daughter Kya’s favorite parts of the trip. “I was waiting for so long to just go on a camper van and just go around the mountains and just having a lot of fun,” she said. Kya also liked Vietnam because of the delicious Pho the family ate there, she said. 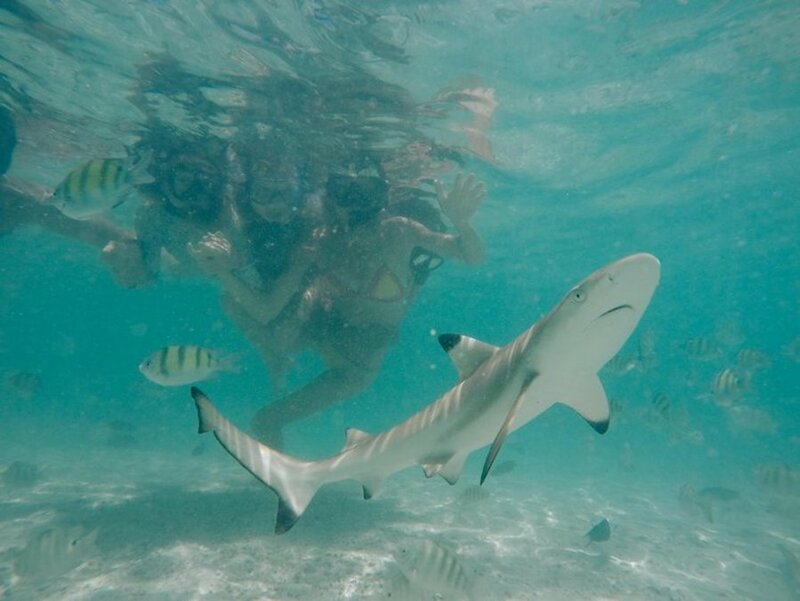 Taylor’s favorite part of the trip was snorkeling in all the different oceans and seeing the sea turtles, fish and sharks. The girls had plenty of other exotic animal encounters, too. They held koalas in Australia, saw kangaroos in the wild and saw an orangutan up close, too. When the family stayed on a rice farm with no electricity and or running water, the girls got up at 5 a.m. to help milk goats and plant tomato plants. And Shae said there were really only a couple of things she didn’t want to eat during their whole trip. Taylor was a bit more adventuresome. The girls kept up with their studies by doing language and math homework for a few hours each morning. Taylor took cooking classes in every country they visited, and all the girls spent time at various schools. They also toured factories in Southeast Asia and saw the people who make so many of the things they bought and consumed back home, Ellen Bradley said. 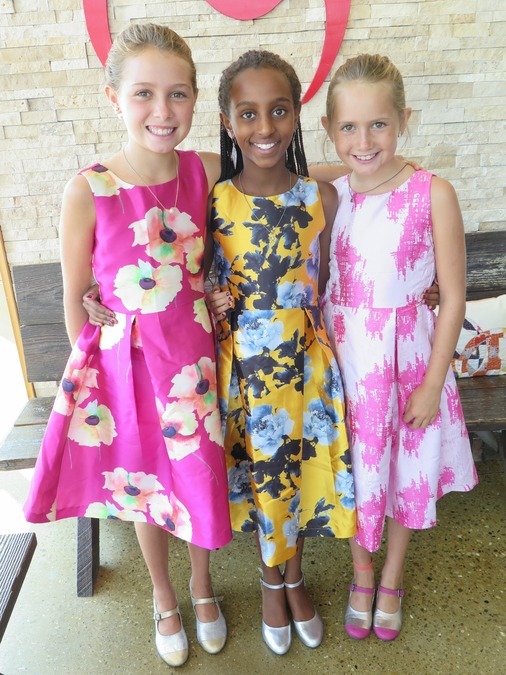 The girls even got to design their own dresses and shoes in Vietnam, picking out their favorite patterns and colors for tailor-made outfits they picked up later. Of course, not everything was picture perfect. The family did have one medical emergency in Sri Lanka, too. They went to a local doctor who wrote two prescriptions that cost $1.50 each and wouldn’t take any other payment because, he told them, it was his job to take care of people. “It was such a teaching moment,” Michael Bradley said. The family expects to have plenty more of those during this next adventure. They have been staying with friends and family members this summer until they leave again in August. During this next trip, the Bradley sisters will be learning Spanish at a language immersion school in Costa Rica and seeing a whole new part of the world. Their parents hope to give back by doing some teaching themselves. Ellen Bradley will focus on yoga, and Michael Bradley will be teaching basketball. They're calling the program "Namaste and Play" and hope to cultivate "confidence, develop an awareness of healthy living and spread peace," she said. The Bradley sisters said they could hardly wait for the next part of their family adventure. They did miss their friends last year, they said, but overall they prefer learning this way to regular school. “You don’t have to be in a desk every day and wake up early,” Kya said. More information about the Bradley family’s travels is available online . They are hosting a Journey of the Globe open house from 7 p.m. to 9 p.m. Aug. 3 at Modo Yoga Cincinnati on Columbia Parkway. Light bites, wine, beers and drinks will be served. Art and handicrafts from around the globe will be available to purchase. All profits will be donated to their "Namaste and Play" program.